Bourne House nursing home is an attractive detached Victorian house situated in the heart of prestigious Southborough conservation area, within the Royal Borough of Kingston Upon Thames. The home has been thoughtfully equipped throughout to provide a safe and comfortable environment, conducive with meeting the needs of people living with dementia. Our holistic approach to care planning focuses heavily on input from healthcare professionals, family and the resident themselves. This is constantly reviewed to meet their ever-changing needs and fully support them during their stay with us. The activity coordinators schedule a varied weekly programme which includes both group and 1-2-1 options. They are always prepared and happy to change plans last minute to ensure the enjoyment of everyone. 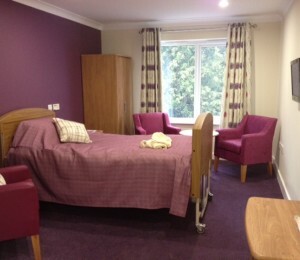 ]Our individual care plans enable us to meet the needs of our residents and to deliver the care experience they want. Family and friends are always welcome at Bourne House as the home manager believes that caring should be inclusive and in the interest of the people living there.